Today during Take-Two's second-quarter financial report, the publisher gave us an update on how Red Dead Redemption II is selling. Spoiler alert: It's red hot. 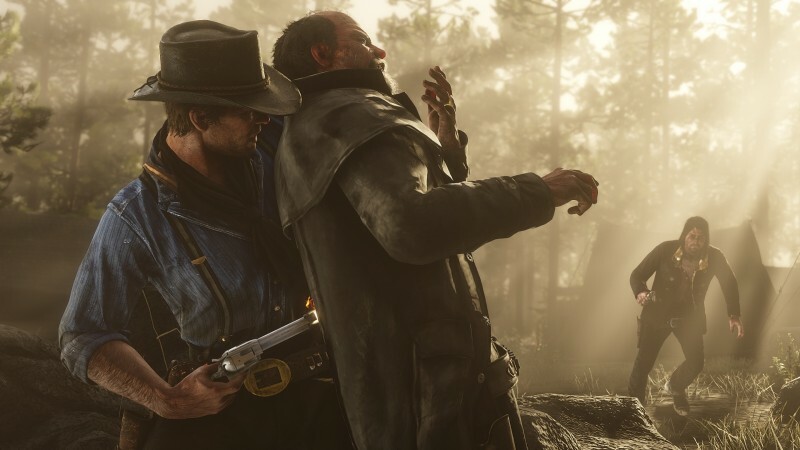 "Red Dead Redemption II sold-in more units in its first eight days than the original blockbuster Red Dead Redemption sold in its first eight years and, as of today, the title has sold-in over 17 million units worldwide," the report says. Because of the strong Red Dead sales and continued performance of titles like NBA 2K19 – which Take-Two says had the most successful launch in the sports franchise's history – Take-Two is raising its forecast for 2019 fiscal year. To find out what all the fuss is about, read our Red Dead Redemption II review here and our NBA 2K19 review here. Analysts thought the original Red Dead Redemption wasn't going to be a blockbuster, but Rockstar proved them wrong in a big way. To see the sequel lap the original in such a dramatic fashion is quite an accomplishment as well. With Red Dead Online potentially driving revenues even further through the roof for years to come, Take-Two looks to be in an enviable position.